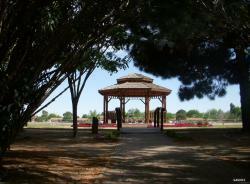 The Gazebo and Garden area at the New Mexico State University Fabian Garcia Science Center, 109 W. University Ave, is available to reserve for special occasions. For more information, contact Laurie Novak at 575-646-2729 or Autumn Martinez at 575-646-2281. Thank you! Please review the Gazebo Rental Agreement by downloading the form below. 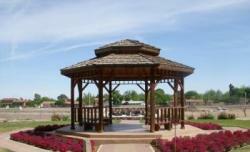 If you are interested in Renting the Gazebo You must call the office for availability and scheduling. Contact names and numbers: Laurie Novak at 575-646-2729 or Autumn Martinez at 646-2281. Thank you. All photos by Stephanie Sweet unless otherwise noted.